IDS (Interior Design Show) is always a great place to get a look at some of the up and coming design trends, new products and more. 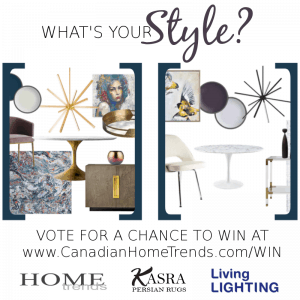 I recently attended the Vancouver IDS exhibition and as always, a few re-occurring themes and styles could be seen through-out the show. 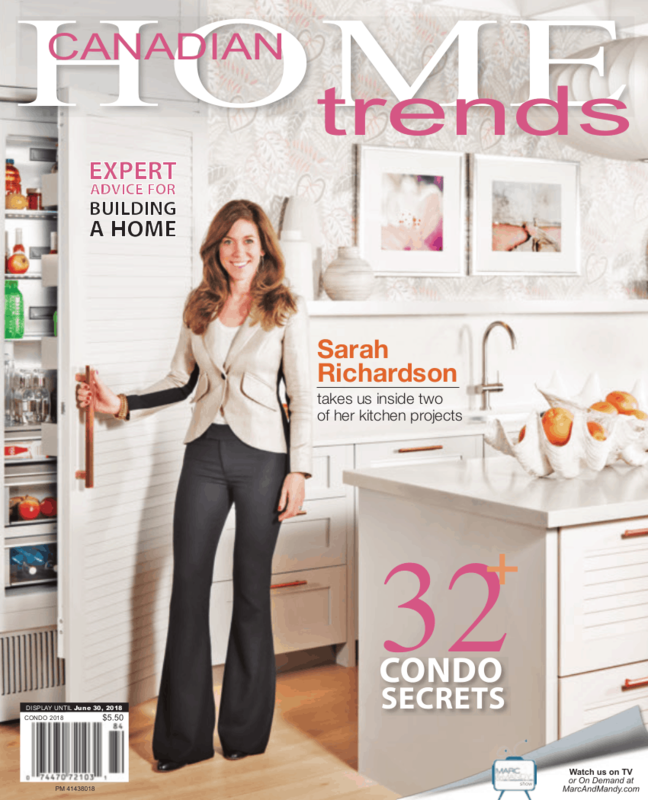 Here are some of my favorite styles and trends to watch from this year’s show! 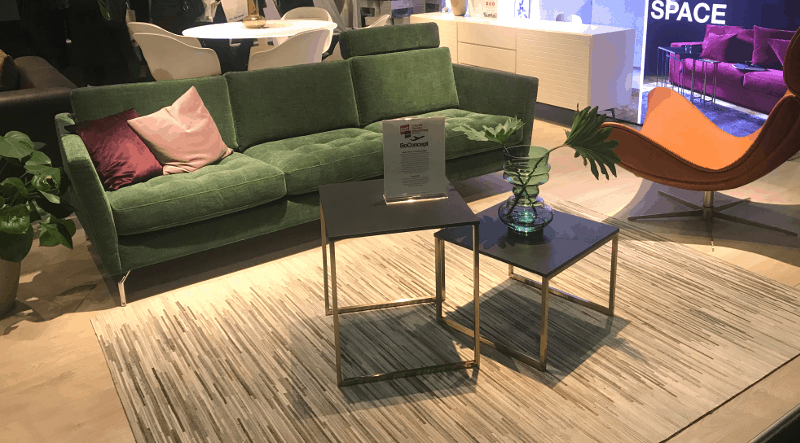 Furniture pieces in plush, gold fabrics with elegant gold detailing were a popular choice at IDS Vancouver this year. 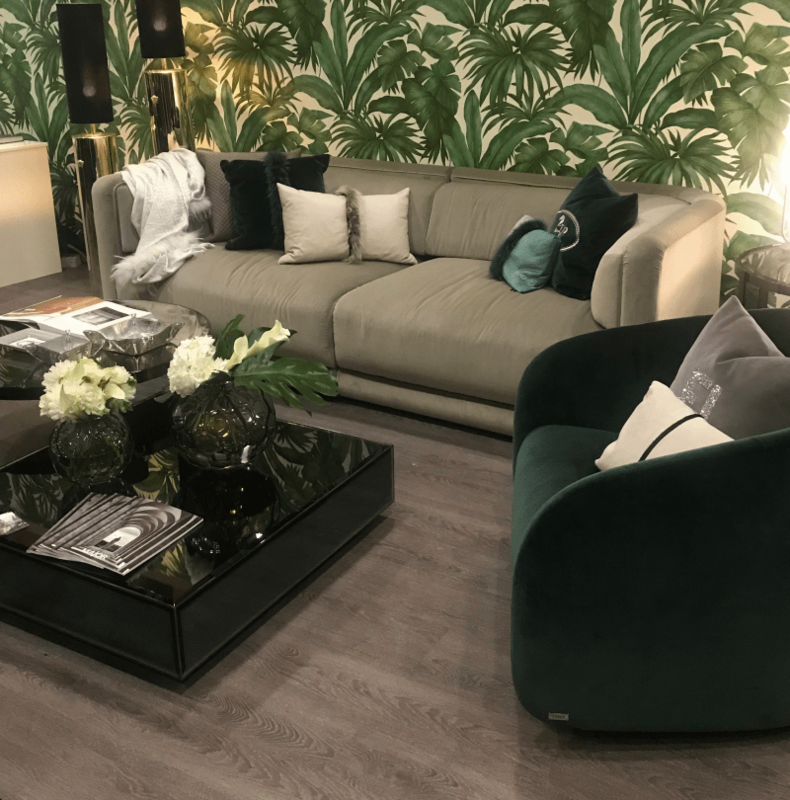 The Major Interiors booth featuring Versace Home and Fendi Casa included a stunning green floral wallpaper, bold gold lamps and a stunning jewel-toned arm chair. This look is both elegant and cozy! In the BoConcept booth, we found this beautiful sofa. A lighter green then the previous arm chair, this sofa offers a more modern look and pairs beautifully with an eclectic mix of colors and finishes. 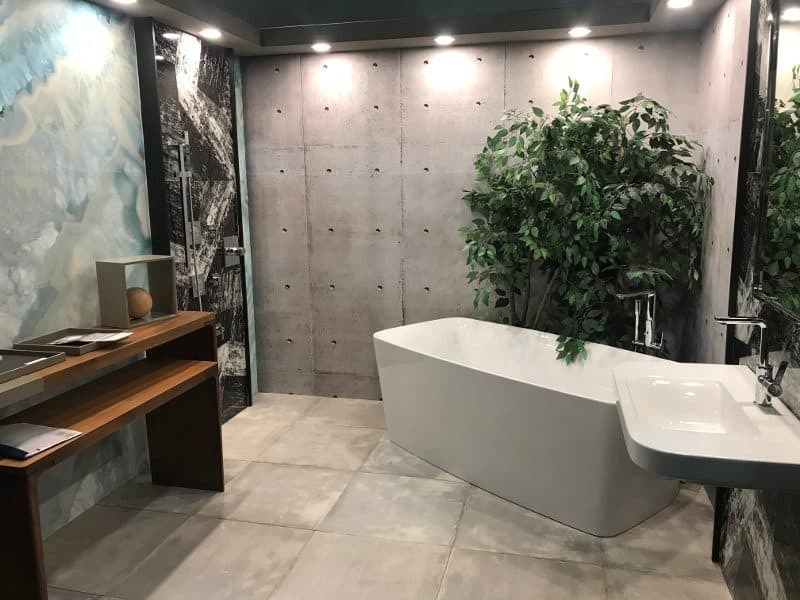 Concrete surfaces continue to make a strong appearance in everything from flooring and walls to cutting edge furniture and accessories. 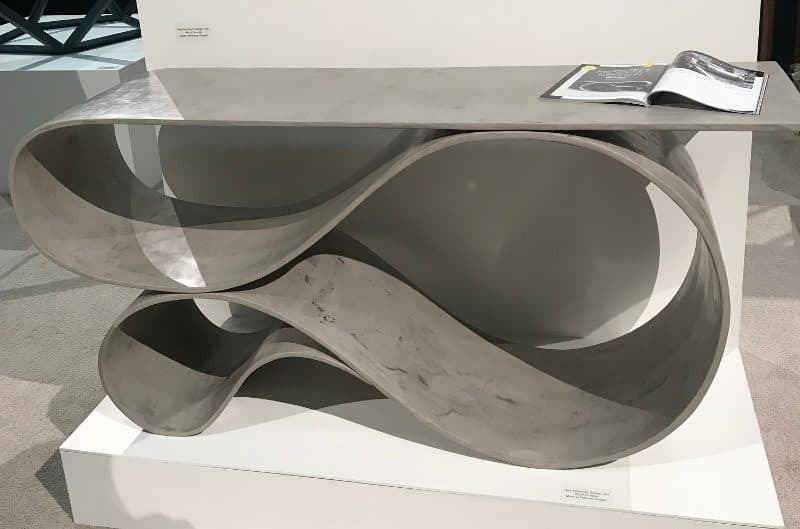 One of my show favorites was this console table made by Neal Aronowitz on display at the SwitzerCultCreative booth. The table is made from concrete infused fabric – an intriguing process that results in a fluid, light weight material with the strength of concrete! The designer was at the show and we were able to learn more about the process from him directly which was fantastic. While the technique isn’t new, most furniture makers who use concrete infused fabric create draped styles. Neal’s goal was to use the material in a non-traditional way for a cleaner, modern style and I think it’s a definite home run! Another piece I loved at the show was this concrete mural from Sticks & Stones. They produce a range of stunning concrete furniture products but this particular piece caught my eye. 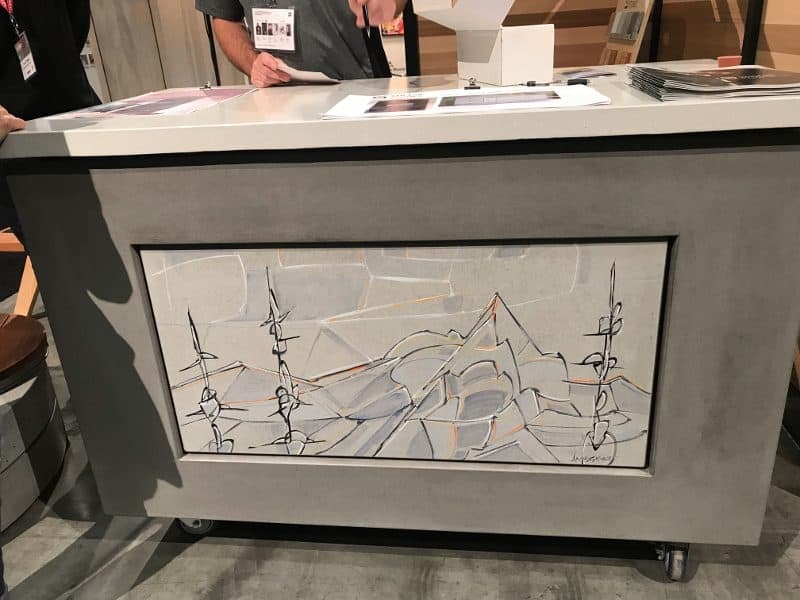 It’s a hand-painted design on a concrete panel so each piece is unique and the panels can be used anywhere – on a feature wall, built into a furniture piece like this, etc. 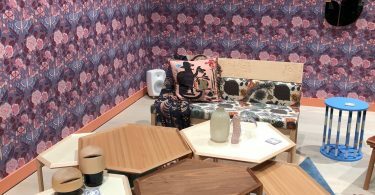 One of the show features was a “Bathroom Retreat” display with a number of beautiful bathrooms designed by Canadian Designers for DXV Canada. 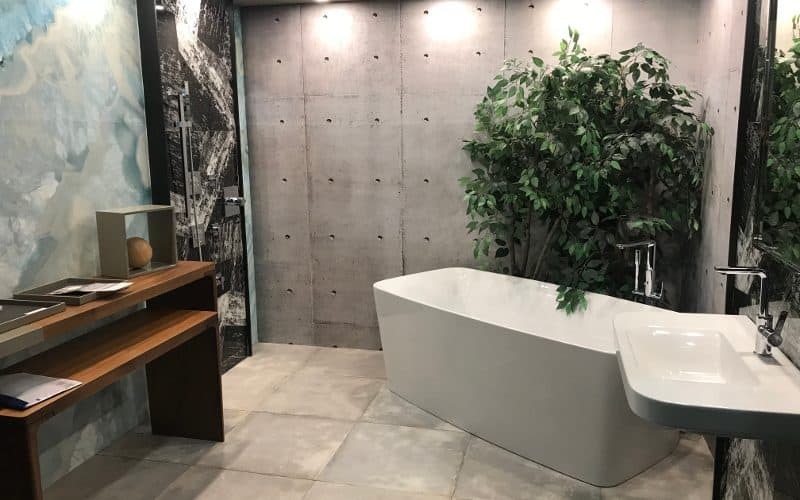 This particular design features a concrete finish both on the wall and on the floors! 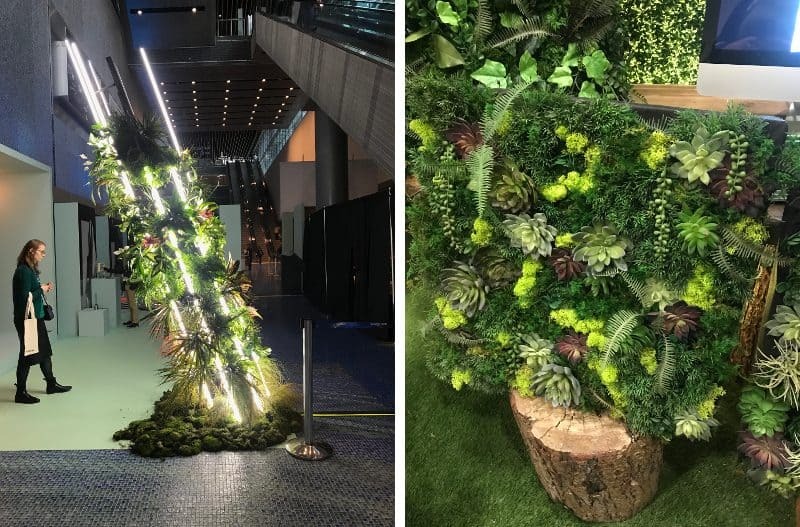 Bringing elements of nature into your decor with unique and unexpected ways is a lot of fun and IDS Vancouver had plenty of ideas to offer! These light fixtures from the Ocean Pacific Lighting display were just two of a great selection of fixtures designed using natural or nature-inspired materials that you wouldn’t usually expect to see. The result is a beautiful and fun look! Using plants as part of a decor scheme is not a new concept. Plants have been an essential part of design, adding life to rooms for centuries now. But, IDS Vancouver showed plants being used in unique and eye catching ways. Examples include the light fixture at the entrance of the design exhibit mixes lights and plant life to create a living sculpture and stunning ideas for living feature walls at the Greenscape booth. 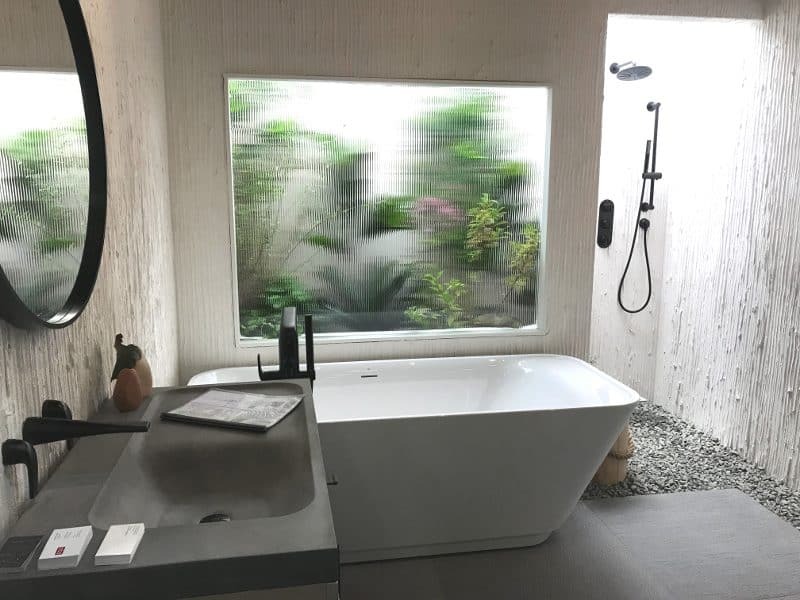 In the Bathroom Retreats display with DXV Canada, Designer Angela Robinson used plant life behind a glass window to create a unique feature behind the tub – one of our favorite uses of plant life at the show this year! According to the designer, the look was “inspired by modern, bleached white villas in southern Spain where the interiors open up to the outside”. The idea is that the bathroom extends into an exterior garden shower. I love the effect – and the idea of a garden space behind a “window” would give you that “outdoor” feel even in cold Canadian climates where you can’t actually open up the room to the outdoors. 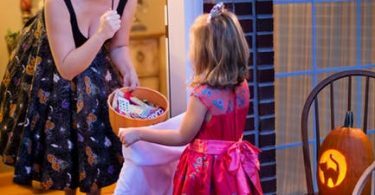 Products that make use of natural or eco-friendly materials are also a popular choice right now. A new product (in Canada anyway) that I fell in love with at the show is this Diatomite water paint from BlueEco. The paint is made from a diatomite, which is the fossilized remains of diatoms, found in Japan I believe. The Diatomite “rocks” are crushed into a powder and used to make a thick paint with a number of amazing properties. From a practical stand point, it is great for humidity control. odor elimination. 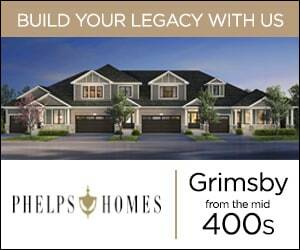 fire proofing, bug control, mold prevention, sound proofing, energy saving and more. From a decorative stand point – it is a thicker paint which means it can easily be manipulated into a variety of textures and finishes to create anything from a plaster wall look to faux brick and more! Orange is another color making a strong appearance at the show this year. With versions of orange being predicted as the 2019 color of the year from a few different paint brands already, it’s not surprising. The color is bright and bold but also modern and sophisticated. 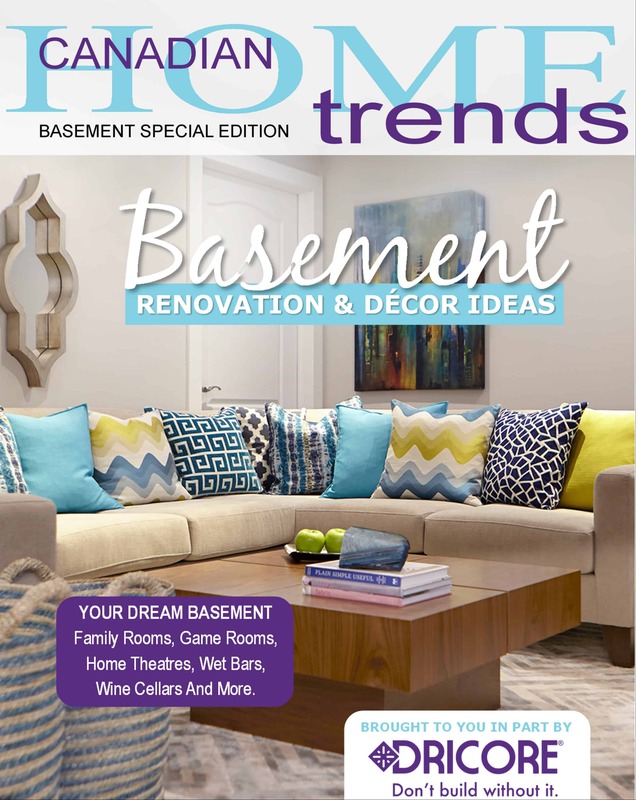 It is a great choice for adding excitement and energy to a room! 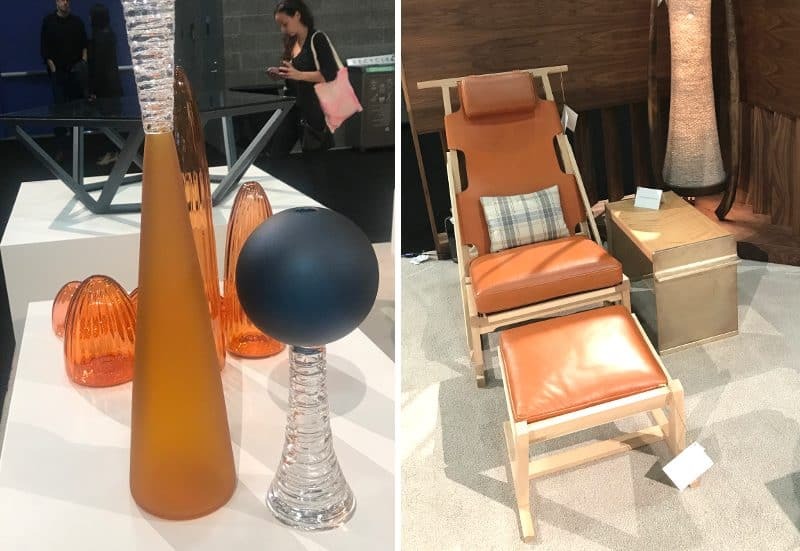 We loved these decorative accessories and beautiful chair from SwitzerCultCreative that show exactly that: sophisticated, modern pieces in a bright, energetic color! 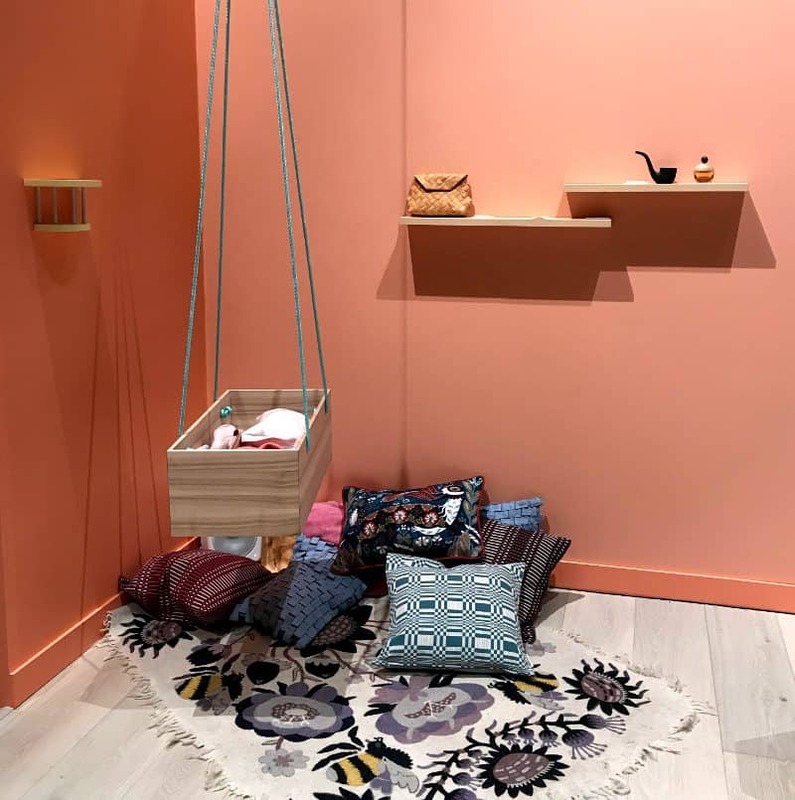 Another design feature at the show: What the HEL from Finland showcased Finnish design inspiration including this beautiful space in a peachy/orange hue. 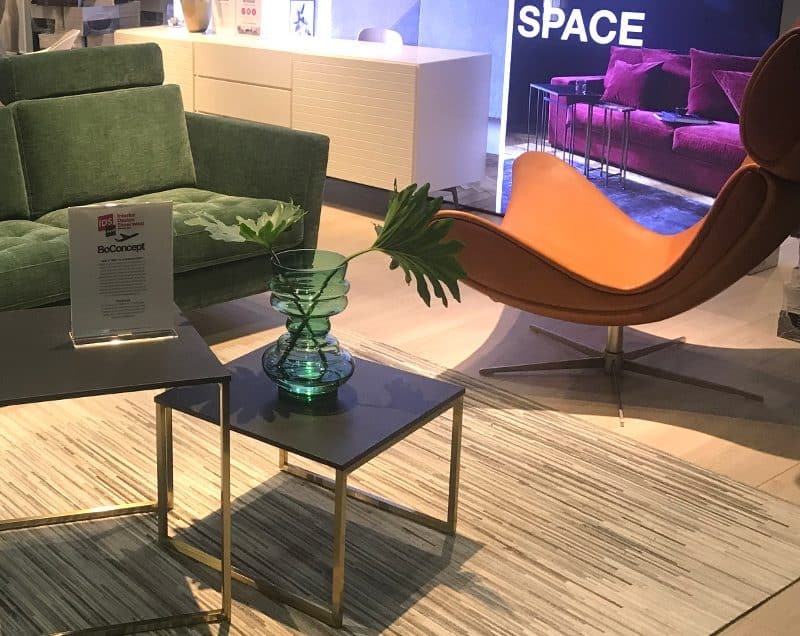 And of course, the BoConcept booth we showed earlier paired that stunning green sofa with a very modern, very sophisticated orange chair as well. While minimalism still has it’s place in design today, the current trend is returning to intricate design and details but used in unexpected or modern forms. 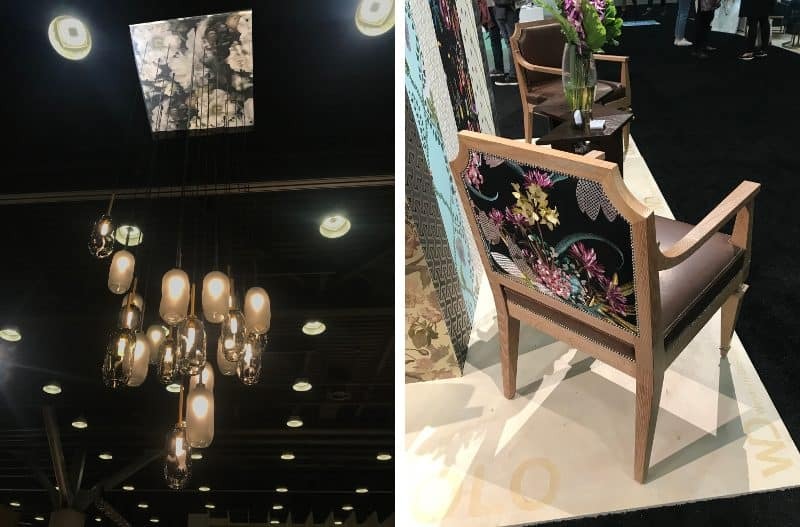 The light fixture at the Montauk Sofa booth is a great example: the fixture features multiple pendants grouped together with minimal detail for a clean, crisp look but as you follow the eye up, a stunning floral pattern adds a touch of unexpected drama and romance! Another example is this set of chairs from WD Furnishings which features a simple wood and leather combination but with a beautiful fabric back in rich, jewel-tone colors and a textural 3D finish. This “Bathroom Retreat” display by designer Annaliesse Kelly and the Madeleine Design Group for DXV Canada is another great example! 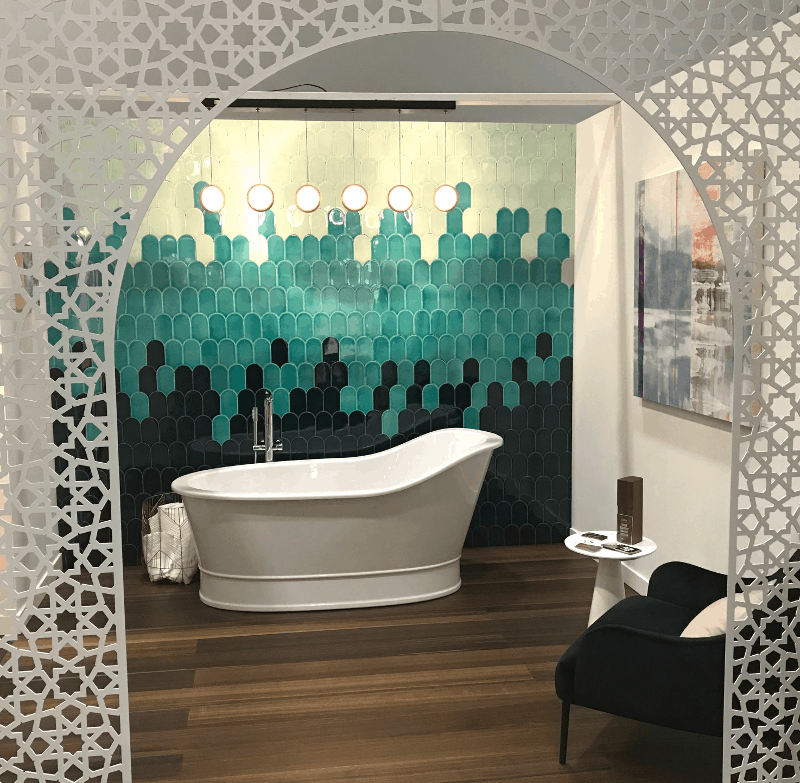 From a “ombre-esq” tiled feature wall by Fifth and Fir to delicate, laser cut panels by Artotech, this space uses a variety of beautiful details to create a space that is absolutely breathtaking!